Roger Federer is the "clear favourite" to retain his Australian Open title over an injury-riddled field when the first grand slam of the season starts next week in Melbourne. The world number two's bid for a 20th grand slam title will be aided by lingering injuries to top players like Rafa Nadal and Novak Djokovic, as well as the absences of Andy Murray and Kei Nishikori. 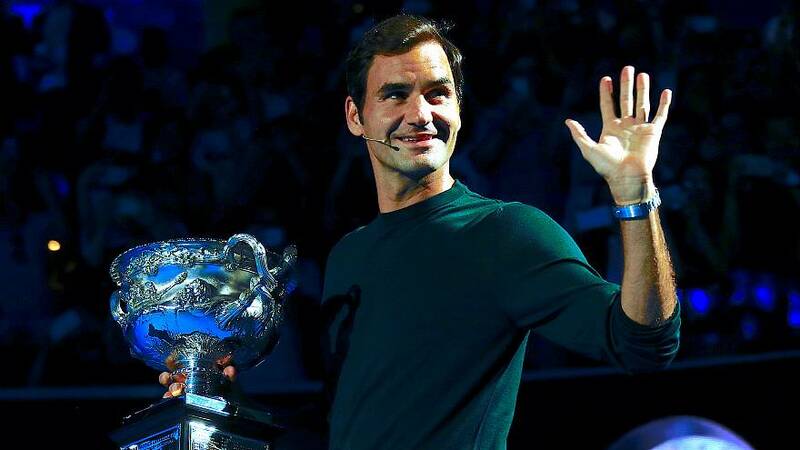 But more so than the competition, it is the 36-year-old Federer's dominant play at this month's Hopman Cup, where he won all four of his singles matches and led Switzerland to a third title, that gives him the edge. Whilst Federer faces Slovenian Aljaz Bedene next week, top seed Nadal, the losing finalist last year, is up against Dominican Victor Estrella Burgos. Federer also has Milos Raonic, Juan Martin del Potro, David Goffin and Tomas Berdych in his quarter of the draw, while Nadal would appear to have the easier section, although former U.S. Open champion Marin Cilic looms as a last-eight opponent. Six-times Melbourne Park champion Djokovic, seeded 14th after missing the back end of last season with an elbow injury, will take on American lefthander Donald Young in his first match - with mercurial Frenchman Gael Monfils looming in round two. Alexander Zverev, who's ranked fourth, will play Italian Thomas Fabbiano but has 2014 champion Stan Wawrinka, returning after surgery, in his section of the draw. Young gun Zverev had little luck in his first Australian Open draw as a top five seed with either Wawrinka, who plays Ricardas Berankis, or Novak Djokovic potentially standing in his path in the quarter-finals. Men's third seed Grigor Dimitrov will face a qualifier - and if the draw goes to seeding, Dimitrov would face American Jack Sock in the last eight, with ailing world number five Dominic Thiem, who withdrew from Kooyong because of illness on Thursday, taking on Zverev. Australia's sole men's seed, Nick Kyrgios, takes on Brazilian Rogerio Dutra Silva. The Australian Open runs from Jan. 15-28.